John Hamilton McWhorter (Professor McWhorter uses neither his title nor his middle initial as an author is an American academic and linguist who is Associate Professor of English and Comparative Literature at Columbia University, where he teaches linguistics, American studies, philosophy, and music history. He is the author of a number of books on language and on race relations. His research specializes on how creole languages form, and how language grammars change as the result of sociohistorical phenomena. 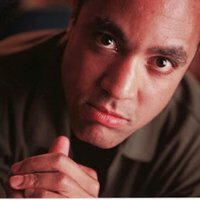 A popular writer, McWhorter has written for Time, The Wall Street Journal, The Atlantic, The Chronicle of Higher Education, The New York Times, The Washington Post, The New Republic, Politico, Forbes, The Chicago Tribune, The New York Da John Hamilton McWhorter (Professor McWhorter uses neither his title nor his middle initial as an author is an American academic and linguist who is Associate Professor of English and Comparative Literature at Columbia University, where he teaches linguistics, American studies, philosophy, and music history. He is the author of a number of books on language and on race relations. His research specializes on how creole languages form, and how language grammars change as the result of sociohistorical phenomena.